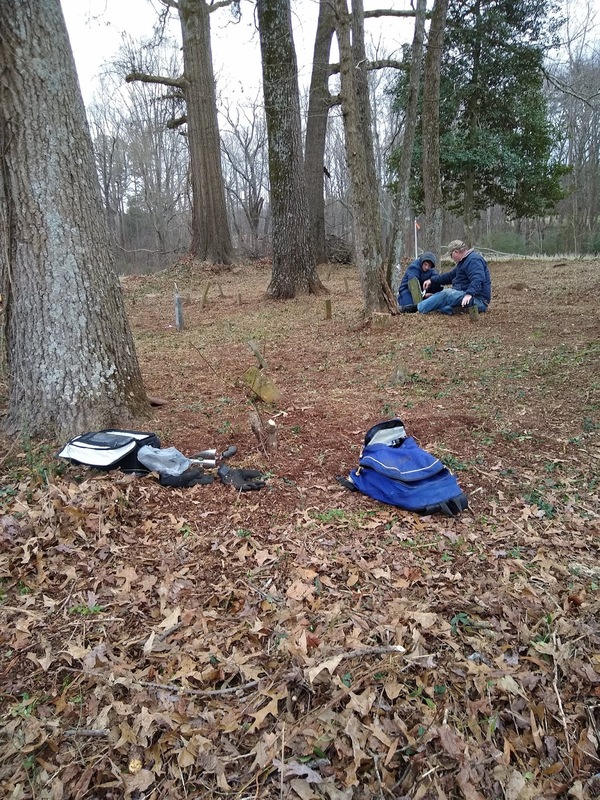 In the midst of a barren winter field, some distance from the main road, in the crossroads community of Red Cross, Stanly County, sits a lonely grove of trees. 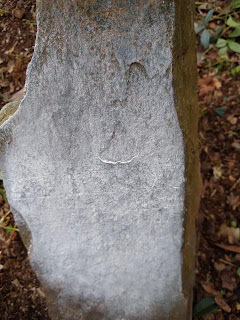 Hidden among vines and branches, saplings and the loamy mulch, are scattered slate markers, horribly worn by time and nature, indicating an abandoned family cemetery. Once upon a time a house and probably several outbuildings stood nearby. The land around it is still farmed. This is the McCamie Willis Cemetery, said to have been the original resting place of Revolutionary War veteran Solomon Burris, Sr and his wife, Judith Taylor Burris. Their remains, at some point, were moved nearby, just a few miles away, to Pleasant Grove Baptist Church. 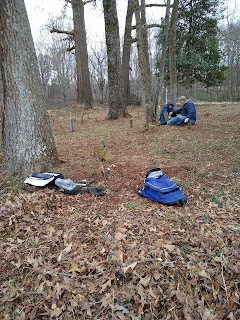 On a recent chilly and damp January afternoon, I had the good fortune to participate in the clean-up of this cemetery, with a group of other Burris descendants and associates. 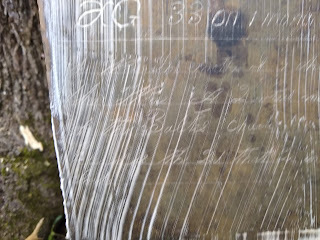 were legible still. 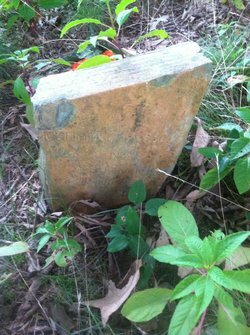 Many other graves were obvious, but no longer marked, the slate markers beneath the ample foliage, covered by dirt and decades of neglect. For me, this is holy ground. 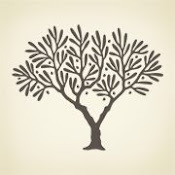 Solomon and Judith Taylor Burris hold a heavy spot among my ancestors. 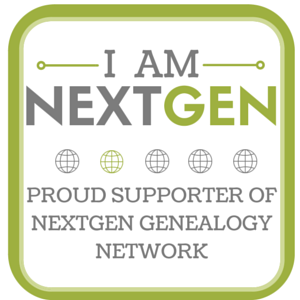 I am descended from not one, not two, but 4 of their children: Taylor, Solomon Jr., Nancy and Joshua C. Sr., all in the personage of one Grandfather. This type of endogamy was common during the 19th century in small farming communities and makes my family tree smaller than most. Nancy Ann Burris married Benjamin Franklin Hathcock, and many Hathcocks are buried here. One of her children married a child of her brother Solomon Jr. A first cousin marriage. 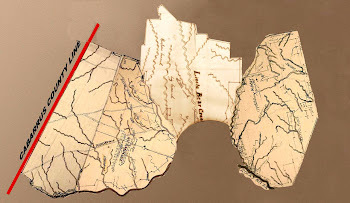 My Grandfather's mother, Rowena Burris Lambert, was descended from this line, but his father, Eli Marion Lambert, carried not one, but two, distinct lines to old Solomon Burris himself. My paternal Grandmother, thank goodness, did not carry any biological Burris lines. Her family tended to be from Mecklenburg, Cabarrus and Union Counties. But after her father died, tragicly and young, her mother married a Burris, the brother of my Grandfather's mother, Rowena, so she had Burris half-siblings and a Burris stepfather. This was obviously how she met my Grandfather. The cemetery bears the name of Commie Willis, or rather McCamey Ervin (or Erwin) Willis. Commie or Kamey, his nickname, is seen in many various spellings. Sometimes the "Mac" was separated from the "Camey" or "Commie" or "Kamey". Having a direct ancestor, the Rev. John McCamey Wilson, with the same name included in his, I know that McCamey was a surname, and that McCamey is the correct spelling of it. 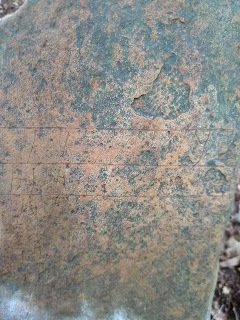 Many of the old slate stones, that Stanly County is noted for, have barely legible etchings remaining upon them. 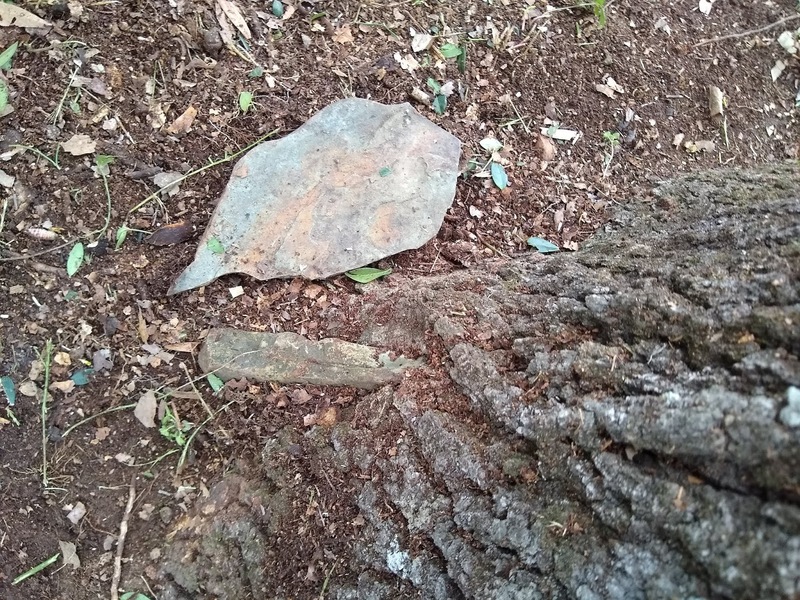 Our local State Park, Morrow Mountain, was even noted for an ancient Native American quarry, as the old volcano among the Uwharries, one of the oldest, and worn down, mountain ranges on the east coast, made stone that became some of the best arrowheads, found as far west as the Mississippi. She was a devoted member of the Babeths Church Blessed are the Ded that Die in the Lord"
Translation taken from "These Hallowed Grounds", published by the Stanly County Genealogical Society in 2012. Below is how Mary and her young family appeared in the 1850 census, with only her oldest daughter, Priscilla Rosanna, being born. Mary Ann was the daughter of John Hartsell and wife, Rosanna Herlocker Hartsell. Her husband Calvin was the son of Benjamin Franklin Hathcock (or Heathcock) and Nancy Ann Burris, making him a grandson of Solomon and Judith. I descend from his sister, Obedience, named most probably after her aunt, Obedience Burris Willis. 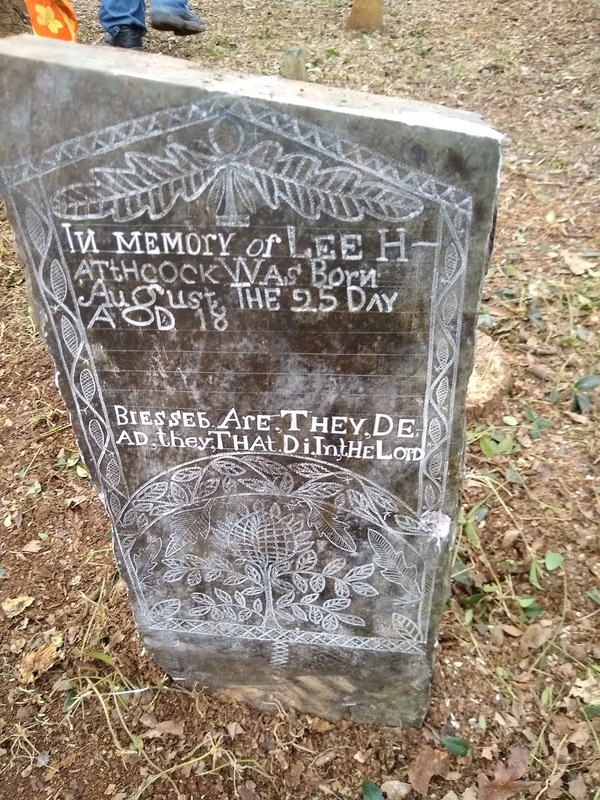 "In Memory of Lee Hathcock Was Born August the 25 Day AD 18?? 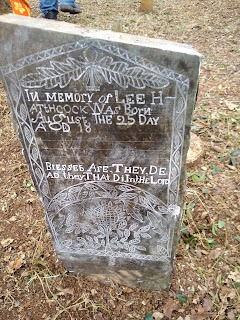 Blessed Are They Dead they That Died in the Lord"
Lee Hathcock was also a son of Benjamin Franklin Hathcock and Nancy Ann Burris Hathcock. He was a brother-in-law to Mary Ann Hartsell Hathcock. He was born on August 25, 1835 and was killed on Oct 1, 1862 at Petersburg, Farquier County, Virigina during the Civil War and his remains returned to his family for burial. Lee married Martha Judith Coley on September 15, 1853. They became the parents of 4 boys: Adam, Daniel, William and Levi. Levi Hathcock (Heathcock) was born the year his father died. This is how Lee's family was enumerated in 1860.
" 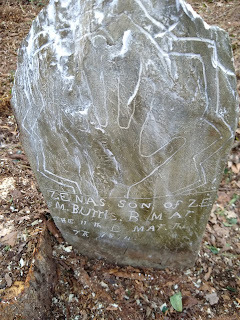 Zenas son of Z. E. and M. Burris B. Mar THE 11th D Mar the 27th 1874"
Z. E and M Burris stood for Zachary Ephraim Burris and his wife Margaret Victoria Burris. Both were Great Grandchildren of Solomon and Judith Taylor Burris. Zenas would have been their second child. Zachary Eprhriam Burris was the son of David Burris and wife Sarah Vanderburg Burris. David was a grandson of the couple through their son Solomon Burris Jr. and wife Sallie Morgan. Margaret Burris was the daughter of James Allen Burris and wife, Lucy Hinson. Allen was a grandson of the couple through their son Joshua Burris and wife Sarah Springer. 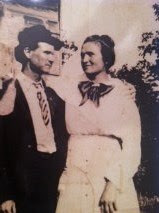 As their fathers were 1st cousins, Z. E. and Margaret Burris were second cousins. 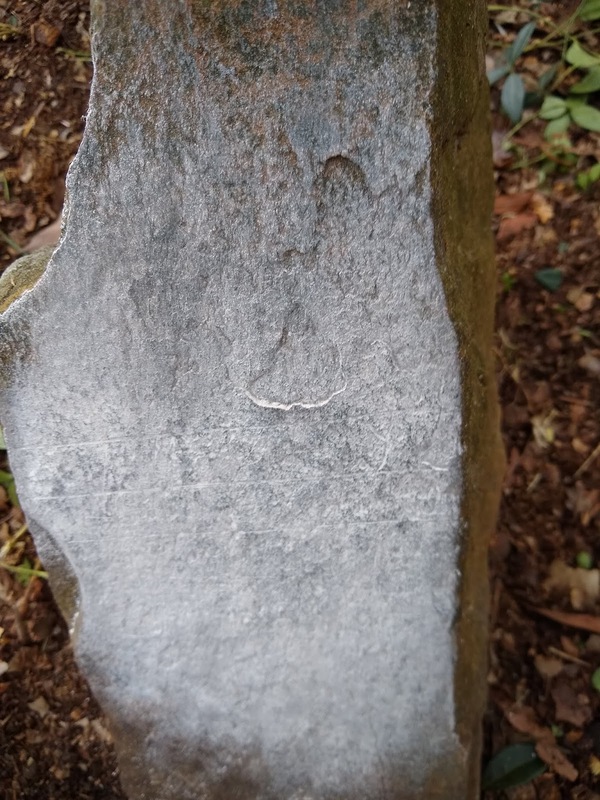 This stone shows how the shaving cream can make words appear like magic on these old stones. 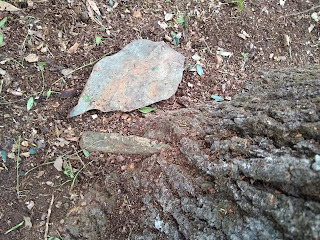 A broken stone, wedged halfway into the soil. 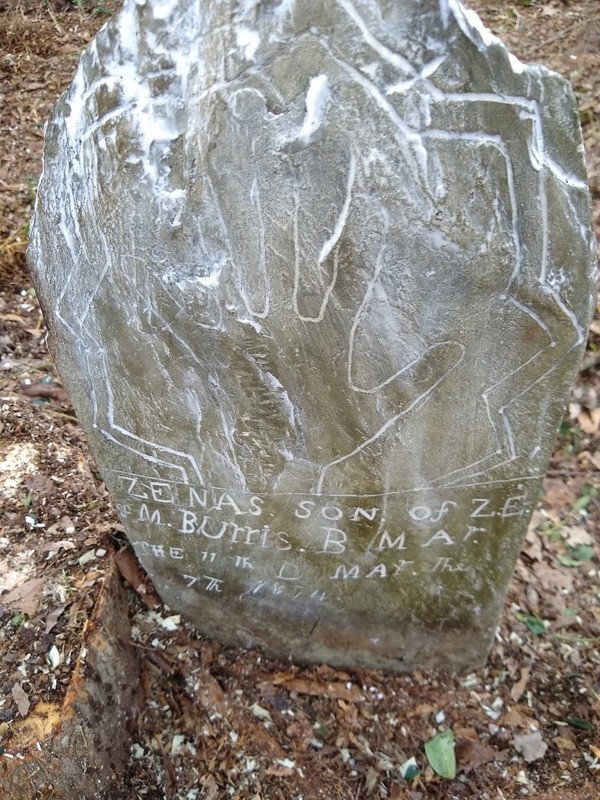 The tombstone of Nancy J Burris, another infant's grave, born July 11, 1851 and died only a few months later on September 19, 1851. Her exact parents are unknown, but no doubt a Great Grandchild of Solomon and Judith. 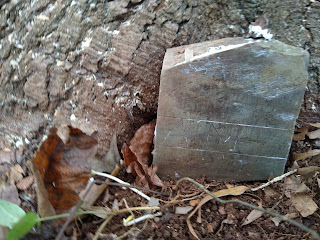 This stone is being consumed by the roots of a tree and revealed only the initial A M B.
David Almond, author and Burris descendant, eyes a sapling for disposal. 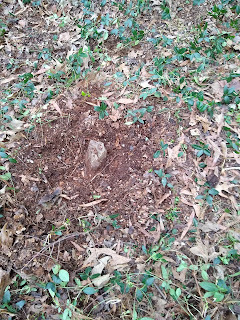 A little digging reveals an unknown footstone. In a row, some leaning, some half-buried and others broken completely off. 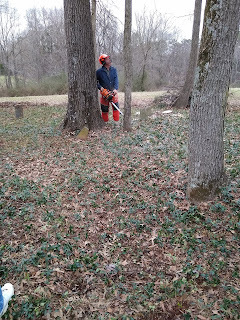 A team member hides behind a tree as the cemetery is being revealed. 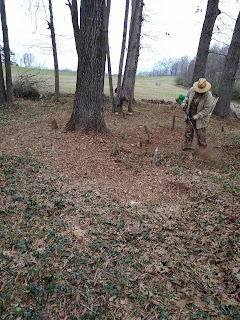 Last minute touches show 3 or 4 rows of tidy, but ancient graves. The cemetery was named for McCamey Ervin Willis. His homestead was here. But who was "Commie Willis" and from where did he come? That is a question we have no real answer to. McCamey Ervin Willis appears in 4 Census Records in Stanly County, NC: 1850, 1860, 1870 and 1880. He also appears in several land records and court records. None give a hint as to his origin before arriving in Stanly County, only the fact that he was born in North Carolina. He does not appear in the 1830 or 1840, although with birth years given in those censuses as between 1814 and 1818, he was certainly old enough to have been, at least in the 1840 census. It is also not known when or where he married Obedience Burris, but it was most likely in Stanly County. 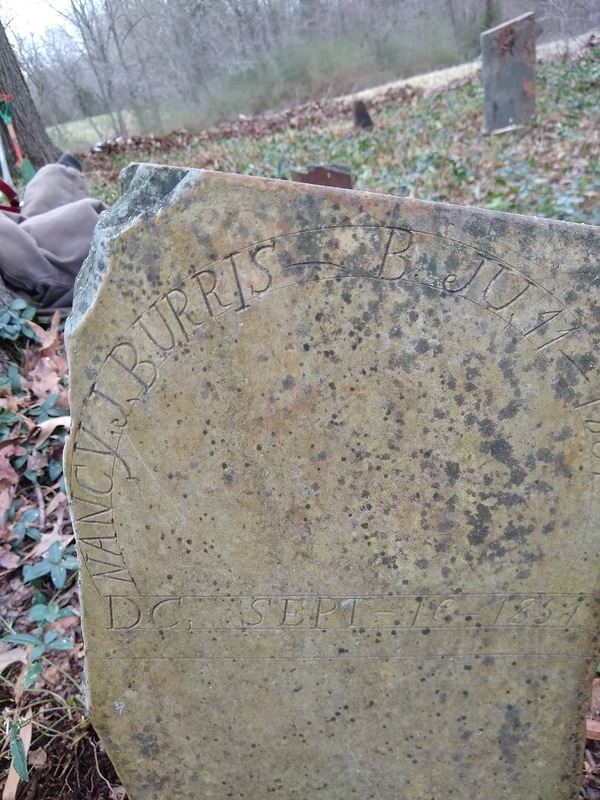 Her father was obviously here for many decades before his demise, and in his will, probated in 1845, he refers to his daughter Obedience as "Obedience Burris", meaning she was single at that time. Being born about 1808, "Beadie" was a few years older than Commie and would have been considered an old maid, at 37, in 1845. Her older sister Judith was also single and 50 at the time their father's will was probated, and he had especially taken care to provide for his widow and single daughters. "First, I give to my sister Obedience, my chest and all my clothes, and all my interest in my father's estate at my mother's decease and next I want Solomon K (or R?) Burris to have my bed and good furniture. I appoint my beloved brother, Joshua to be my executor." John Huneycutt and Gideon Morgan were Testators. From the above reference, it appears Obedience was still single upon her older sister's death in 1847. McCamey Willis first shows up in the land records of Stanly County on May 5, 1850 when William H. Randle, attorney sold to "Kamy R Willis" for $100 a tract of land. Randle was representing John Ward, Jeremiah Adderton and James Adderton of Davidson County, NC and Daniel Freeman of Stanly County, NC. They had been residents of Stanly County previously, as I've recalled seeing the name "Jere Adderton" quite often in old records. The land was described as " Beginning at a stake in the bank of Stony Run Creek" and met Asberry's line and Solomon Burris's line and was described as 226 acres "more or less", " with the exception of 26 acres which is for the use of and benefit of the widow Judy Burris including the house and improvements in which she lives during her life and after her death to belong to the said Kamy R. Willis". "Signed, sealed and delivered in the presence of Solomon Burris and David Burris", brothers of Obedience Burris. It was registered on February 25, 1851 and signed by John Ward, Jeremiah Adderton, James Adderton and Daniel Freeman. The facts seem to point to the marriage of Obedience Burris and McCamie Willis as between August of 1847 and May of 1850. He may have been a widower, but there are no indications he ever had any children of his own. None ever appeared wanting a piece of the pie after his death. He may have married Obedience because she was a woman with land that he wanted, but he did not sway in caring for her family and others in the community. The union was true. The Willis and Burris's of Red Cross, Stanly County, were enumeratied on Novemeber 2, 1850. Commie and Obedience were Household 906 with 904 being her brother Solomon Jr. and 905 being his son David, with an infant Z. E. Burris, who was spoken of previously. House Number 907 was Benjamin F. Hathcock, her brother-in-law, widower of her sister Nancy. House 908 was Benjamin's son Calvin and his young wife Mary Ann and their baby daughter Priscilla, Mary Ann's tombstone being mentioned previously as well. Family and neighbors. The occupants of House 906 were: 36 year old McCamey Willis, his 42 year old wife, Obedience, her 85 year old mother, Judith Taylor Burris, their ward and nephew, Solomon (Murray) Burris, 18 and her neice and my ancestor, Obedience "Beadie" Hathcock Burris, 24. Obedience Hathcock Burris, daughter of Benjamin Franklin Hathcock and Nancy Ann Burris Hathcock, was married by this time and expecting her first child, my ancestor, David T. Burris, who was born on January 13, 1851. As this was November 2, 1850, she was 7 months pregnant. Her father lived next door and there is no Obedience in his household and her husband, 18 year old Gideon Green Burris, who was also her first cousin, was listed in his parents household as a laborer, and she wasn't listed with him, so this has to be Obedience L Hathcock Burris. Solomon Burris was Solomon Murray Burris, son of Obedience's brother, Joshua C. Burris Sr., a married man, and Jane "Jincy" Murray, a single woman. I descend from Joshua C. Burris through his daughter, Mary Anna Burris with Susannah Honeycutt and I descend from a sister of Jane Murray, Priscilla Murray Aldridge, who was one of my second Great Grandmothers. I know, it's complicated. 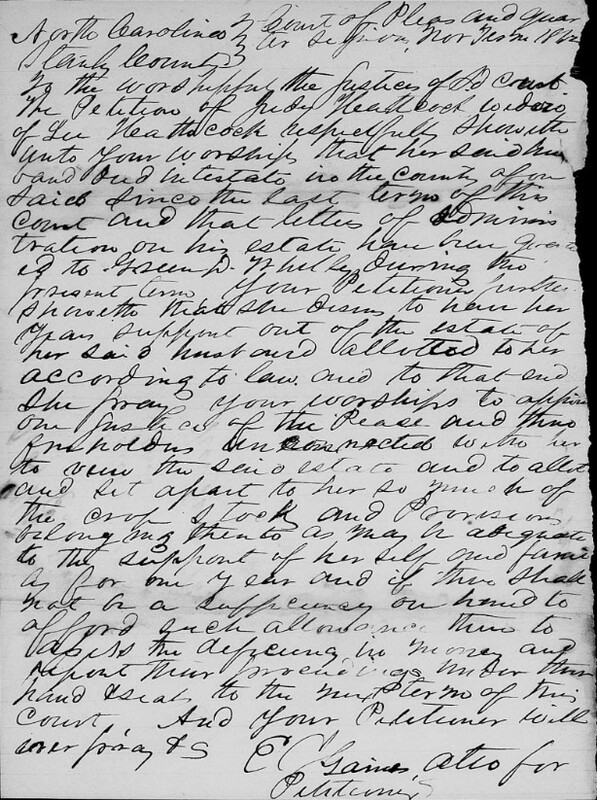 In the February 1844 session of the Court of Pleas and Quarters of Stanly County, the Sheriff had been ordered to bring the child, Solomon Murray "to next court to be bound out, now living with Solomon Burris, Sr." Old Sol seems to have been trying to keep this stray grandson in the family, one of his several namesakes. The boy grew up with his Aunt and Uncle, Obedience and Commie Willis, and so loved the couple he named children for them. He was a troubled child, as illegitimate children in the era often were due to the social ostracization. He was in and out of court, and always there with him, going his bond, whether for affray, drunkeness, petty larceny or making his own out of wedlock babies, was his adopted Dad, Commie Willis. Solomon was married 4 times that I know of, and fathered at least 15 children that I have found. He grew up, he moved east and spelled his name "Burroughs". He moved around a bit, like a rolling stone, in Cabarrus, Wilmington, Lenior, Goldsboro. 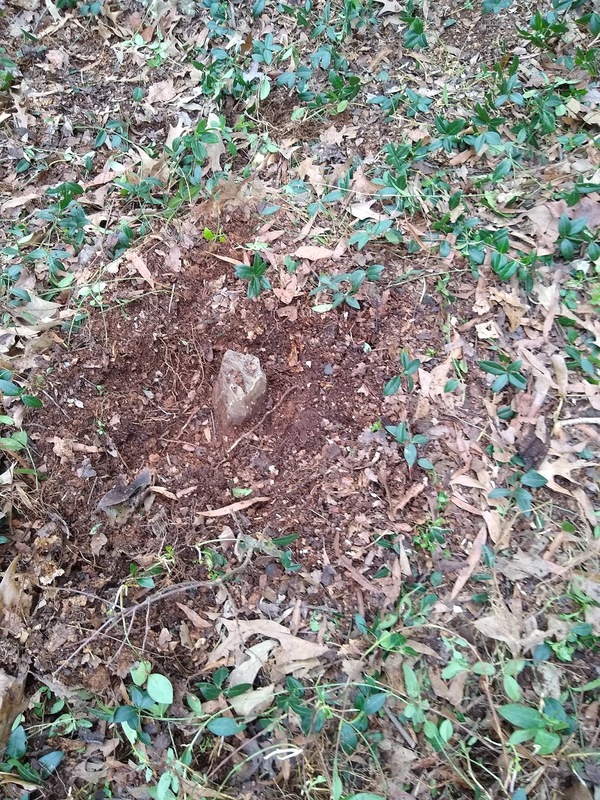 He is buried in Jason, Green County, North Carolina. Never heard of it? Neither had I. 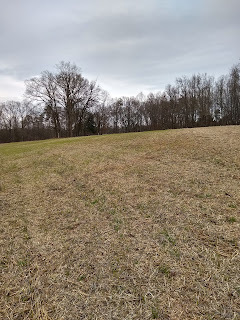 On December 20, 1852, "MyCama E Willis" bought 33 1/2 acres from Daniel Freeman, an Albemarle merchant on Stony Run Creek that ran along Benjamin Hathcock's line for $23. 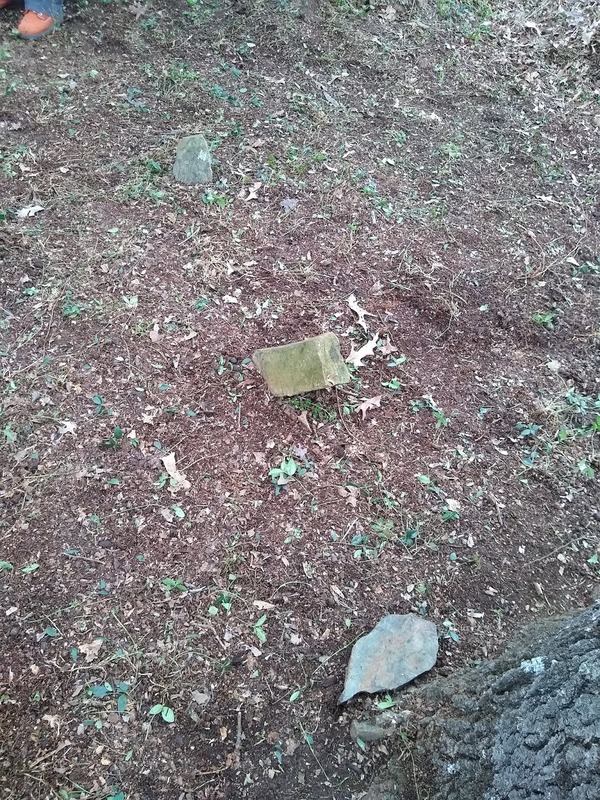 This may have been a portion of Judith's property that covered a debt at the Freeman's store. On November 8, 1855 "Isaiah Coley of the 1st part, Solomon Burris of the 2nd part, G. D. Whitley and Kamey E. Willis of the 3rd part, George Cagle of the 4th part and Jessie Hathcock of the 5th part, all of Stanly County" were involved in a transaction. Isaiah Coley was "justly indebted" to the estate of Robert Motley for $50 and to Daniel Freeman for $33 and interest and to Nelson Smith. G. D. Whitley, 'Camey E. Willis', George Cagle and Jesse Hathcock were his securities for these notes. To give them relief, he put up the land and property upon which he was living, one yoke of steers and cart, '4 head dry cattle', 12 head of hogs and 200 bushels of corn. 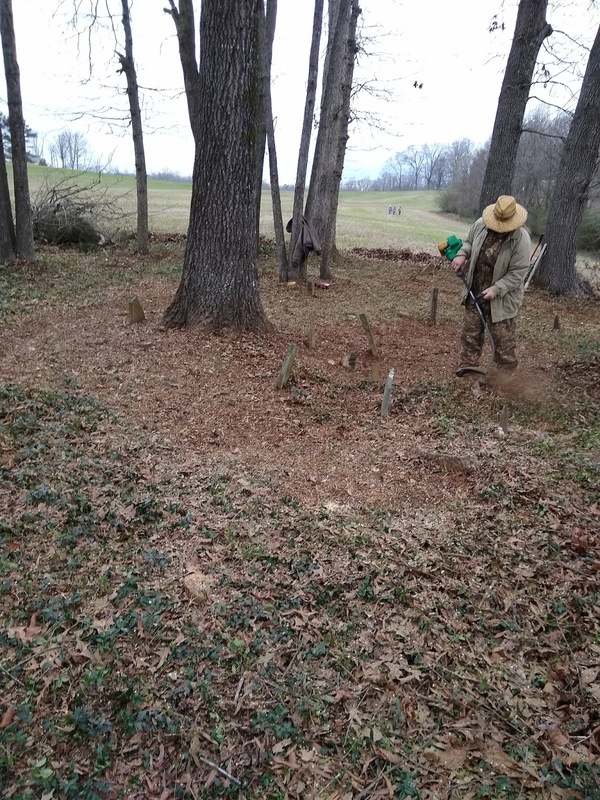 By 1860, Mother Judith had passes away, Beadie was living with her husband Gideon Greene Burris and young Solomon was working as a farm hand in Mount Pleasant, Cabarrus County, with his first wife and 4 children. McCamey had Real Estate valued at $236 and Personal Estate at $200. And Rebecca Page had arrived. Becky Page was listed as a Day Laborer in the 1860 census. She was 30 years old. She lived and worked for Commie and Obedience for many, many years. I have not found her in the 1850 census, but I believe she may have been a daughter of Dempsey Page and the 1870 census will explain why. In 1870, Commie and Obedience are boarding more of the Page family. This portion of the 1870 census is incorrect. They divided Commie and Obedience from the rest of the household. In reality, 3 Pages, Rebecca, Delitha and Mason, are living with McCamey and Obedience in the same dwelling. Notice the Dwelling number, 22, on both entries. The Pages ladies lived with the Willis's. The transcriber also made a mess of their last name, but a peak at the original copy clearly shows "Page". While I've not found Rebecca in 1850, or outside of her residence with the Willis's, that does not ring true for Mason and Delitha. The inclusion of all 3 in the 1870 household of McCamey Willis and the shared surname leads me to naturally believe they must have been closely related. I've found that Mason's age in this census was incredibly incorrect. Mason was an unusual first name for this era, especially for a female. On September 26, 1877, in Cabarrus County, Mason Elisabeth Page married William Alexander Coley, son of Isaiah and Caroline Coley. Both families were from Stanly County. Mason Elisabeth's mother was given as Dilly Page and in the space for father, only dashes were placed. In the place where it indicates whether or not the parent is living or deceased, again, only dashes for father and living for mother. Mason Elisabeth Page Coley lived a long and traceable life. She went by the nickname "Bettie" and her actual birthdate, as given in other records, was May 2, 1851. She would have been 19 in the 1870 census, not 41, and her mother, Dillie's age was undercut by quite a bit as well. Her marriage was even announced in the paper, but for some reason, they could not get the surname of her husband, Coley, correct. They also picked up the name of her mother-in-law, Caroline, and gave it to her. William Alexander Coley was the son of Isaiah Coley and Francis Caroline Honeycutt Coley, the same Isaiah Coley who was the next door neighbor of McCamie Willis and who is named in the above deed from 1855 who was indebted to a number of people and had named Commie as one of his sureties. Bettie and Alec or "Ellick" had 5 children. She named her firstborn daughter, born August 9, 1878, Rebecca. Was this in honor of Rebecca Page? What relationship was Rebecca to Bettie? The most likely, I believe was Aunt. Rebecca Coley moved to Arkansas and was married 3 times, to Ferguson, Reeves and Lattimore. Jim Coley of Union County, later in life. Bettie died on August 16, 1928 at the age of 77. The informant on her death certificate was her son-in-law, Bright Fletcher Broom, the husband of her daughter Dillie. Dillie Lou obviously knew the name of her own father, Alex Coley, which was given correctly. However, the names of her grandparents were rather confusing. She knew her family's origin was in Stanly County. However, she gave her grandmother's name as Rebecca, not Dillie or Delitha. As her mother's father, she gave the name of Joel Page. There was no Joel Page in Stanly County or any surrounding counties, who could have been the father of Bettie Page Coley. Could her first name have been a clue? Could her father have been a Mason? There was a family of Masons living in Almond Township, Stanly County, during the time she was concieved. Dillie Lou Coley was the one named for her grandmother. She lived in Waxhaw, Union County and was married twice, to a Helms and to Fletcher Broom. She should have remembered her Grandmother, the original "Dillie", as they lived together at one point, and possibly for some time. 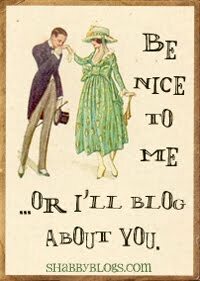 The original Dillie, aka Delitha or Delilah, was the key to whom the Page women may have been. 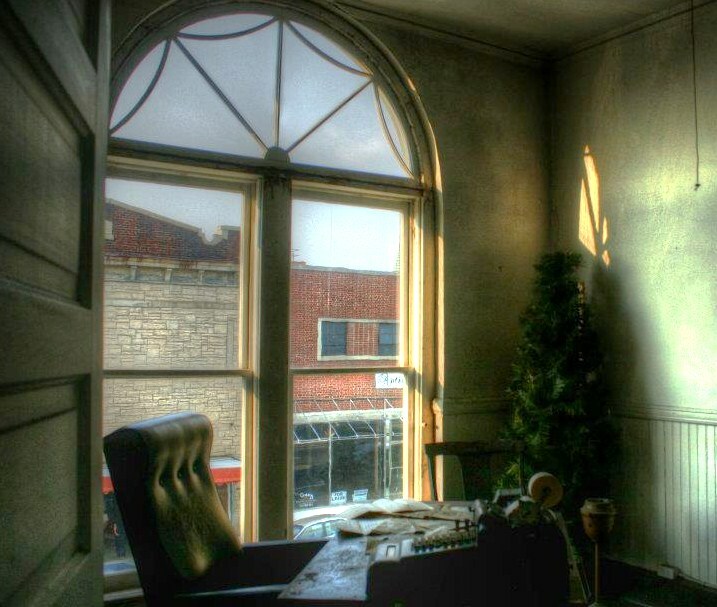 In 1850, Dillie shows up in the home of Dempsey Page and wife Macey, both in their 50's. They have a family of 6 children. Or could the younger ones have been grandchildren? Macey seems a little old to have been the mother of a 9, 6, and 3 year old. Right next to them was a James Page, a young man of 25, and his young family, who is noted to have been a son of Dempsey Page. James is found also in the 1860 census. He had a wife named Lucy and 4 children. He served in the Civil War from Cabarrus County. James Page had a hard time during the War. He was in and out of the hospital and suffered at various times with "Cattarh" and rhuematism. He spent some time as a Prisoner of War and finally died of disease, at the age of 37 on July 5, 1863. His widow, Mary Ann Lucinda Page, applied for a widow's pension in 1863, with the help of a W. H. Taylor. It was noted that she was "a poor woman." Mary L Page, born in 1823, married William Taylor Newell on 21 September, 1864. Born in 1798, Mr. Newell was an elderly widower with grown children. After that, both he and MaryAnn Lucinda disappear from records. From 1878 through 1891, his son John, described as his executor, is selling off and redistributing his father's property between siblings and neighbors. No mention is made of Mary Lucy. James and Lucy's two oldest daughters, likewise, disappear from records, but probably were married before 1870. The younger two children, Isabella and James Monroe Page appear in Salem, in Forsyth County. Whether they were sent there to an orphanage and remained in the area, or whether their mother remarried a third time and moved there is unknown. When they appear, they are on their own. Monroe marries a Nancy Cannady, and dies in 1900 of typhoid fever. His widow remarries quickly after. Belle married a George Jackson and has a large family, dying in 1905. Wiley Page is married in Cabarrus County in 1852. Other than that, he also disappears from record. In fact, all of Dempsey Page's family has disappeared by 1860, except for Dilly, her younger sister Sarah "Sally" and the youngest boy, Darius Riley Page. The younger children are all living in the home of a 60 year old Lydia Page. How was she related to them? Six - year- old Elizabeth Page corresponds with the age of Mason Elizabeth Page, Dilly's daugther. Dempsey's brother, Sion Page remains in the area. There is a Dempsey Page who marries in Cabarrus to a Melinda Brumley and turns up in Rowan County and serves in the Civil War. In each records, he appears to have been born around 1820. Some people have combined these into one and the same person, but I believe them to be a different Dempsey Page. In fact, there are several Dempsey Pages, of various generations and Sion Pages as well. I believe due to the fact that these were not common names like John or James, that these various Dempsey's and Sion's interconnect somewhere. Maybe 1820 Dempsey was the son, or nephew, of 1798 Dempsey. As for Elizabeth Page, she was a year older than James and may have either been missed, or was working in another household, in 1850. But something, some disease or disaster, seemed to take Dempsey, his wife Macey, sons Thadrick, Wiley, and Edmund all away between 1852 and 1860. No sign of Wiley's wife, Melinda Hagler Page, is to be found yet at this point, either. Sarah Lucinda, "Sallie" Page survived. She married J Wesley Burleson and lived her life in Stanly County, raising a large family and passing away in 1924 at the age of 78. Riley Page appears to have went westward, as many a young man did. And then there was Dilly. Going backwards, she and her daughter, Mason Elizabeth Page were living with Rebecca Page and the Willis's in 1870. In 1880, Dillie, "Delilah" is living with her daughter Bettie, son-in-law Alex and their first two children, Rebecca and Daniel in Big Lick, Stanly County. 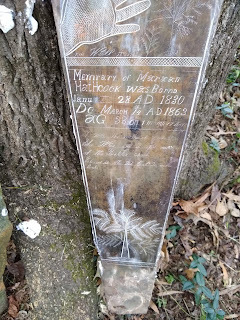 Twenty years later, in 1900, Alex has passed away and Delilah and Bettie are living with her 3 youngest children, Dillie, James Monroe and Roy Jack in Cabarrus County. And that is the last of Dilly. She, a Sarah Page, a Sallie Page and Hessy Newell, daughter of William Taylor Newell, were on the public dole for a dollar a month until at least May of 1900. And then there is Rebecca Page, who last shows up in the Household of McCamey Willis and Obedience, as their housekeeper, in 1880. Shei is 52 and single. Not widowed, so I believe she never married. Again, they separated the households, but they were not separated. Still dwelling number 316. This is the census in which we learn that Commie's middle name was Ervin or Erven. And this was the last census for them all. On December 21, 1868, McCamey Willis made application to John Honeycutt, excutor, "for the use or benefit of the homestead law and therefore, I, John Honeycutt, Esquire, proceed to summon B. L. Whitley, T. A. Hathcock, J. T. Honeycutt, 3 Freeholders, to give him the benefit of the same". This included 118 acres on Stony Run Creek, from the Deberry line to the West Bank of Rocky Branch and meeting Solomon Burris's line. This "Deberry line" that keeps being mentioned has me curious, as no Deberries are seen in the neighborhood. Perhaps there was a tract of land that had belonged to a Deberry, many decades past, and the area just bore his name from then on. The property of McCamey Willis at this time was listed as 1 Bay Horse valued at $100, A one-horse wagon valued at $10, 3 Head of Cattle, $22.50, 8 head of hogs, "Roughness" $5.00, farming tools, household and kitchen furniture, $40.00, and one Saddle $5, totaling $193.50. There were several interesting deeds in the 1880's and the same properties are mentioned. For $100, Commie sold to Becky a tract of land on the west side of Rocky Branch and the Deberry line to a stake in the old road, of 110 acres. "which is to be reserved until the death of M. E. Willis and Obedience Willis his wife and then to belong to Rebecca Page". Witnesses were T. A. and G. R. Hathcock. 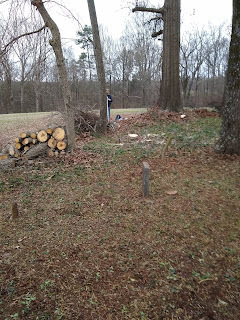 M. E. Willis and Obedience, his wife and Rebecca Page, a tract on the Deberry line and Rocky Branch, "in the consideration of the support of their natural lives". Witnessed by T.A. Hathcock, Ed Smith and Ephraim Burroughs. 17 Oct 1888 to the School Committee Distric 47 for $2, a tract of land adjoining Gideon Greene Burris, one acre for Public School Property, with the exception that when it "becomes uneccessary for Public School Property it returns to me" (McCamey Willis). Jacob A. Morton of Stanly bound unto M. E. Willis, Obedience Willis and Rebecca Page for $300. Commie, Obedience and Rebecca had contracted with and agreed to sell to Jacob A Morton the 110 acres on Stony Run Creek adjoining T.A.Hathcock, Ed Smith and Ephraim Burris. In exchange, Morton agreed to "settle and liquidate certian indebitedness of the said M E Willis". 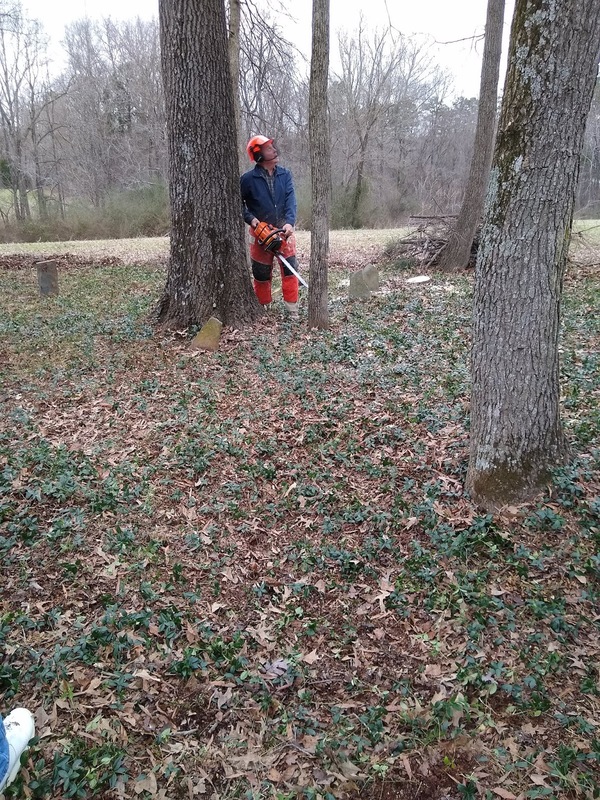 The indebitness included $150 that he owed Jackson Hathcock and another amount owed Russell and Cagle, which I take as a business partnership. McCamey went to great trouble to detail the exact terms of the contract. Morton was to keep the 3 of them furnished with provisions for their support "suitable to their condition in life which shall be furnished to them at their place of residence now on the lands conveyed for the term of their natural lives and also to furnish them with the neccessary firewood for said term." Commie made clear in the document, and reiterated it many times, that the trio would be allowed to remain in their home until death took them and that they were to be cared for there, not sent to some facility or poor house as their bodied became frail. "The said M E Willis Obedience Willis and Rebecca Page are allowed to remain in and occupy the dwellings and such outhouses as they may have need for + no more + to cultivate and enjoy any crops they may plant and reap on about 1 1/2 acres near the barn and also the garden, the said Morton argreeing to do the ploughing of said lands and garden + the said Morton is to be allowed to enter the remaining part of said lands". Commie made conditions over a few of the domesticated animals stating that Rebecca Page be allowed to keep her cow, but Commie was to "dispose of his mule as soon as practicable". That must have been one stubborn or one-owner only mule if Morton didn't want it around. The contract was written on August 9th 1888 and witnesses by James W Efird. It was proved on March 4, 1896. 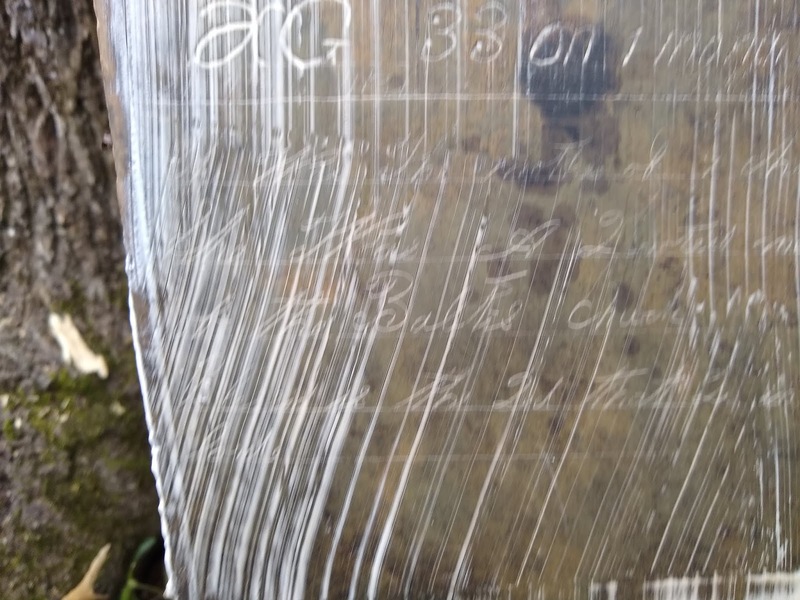 An older survey of the Commie Willis Cemetery mentioned his stone with a date of death as 1894. It seems to be correct, although we did not locate his stone on this day. Jacob Alexander Morton aka "Jake" was born May 11, 1851 and died March 27, 1925 in Oakboro, Stanly County, NC. He was the son of Joseph Calvin Morton and Beadie Malinda Hartsell Morton. He married Julianne Dry and had a large farm family as they did in those days. This family considered themselves of Cherokee descent and Jake's name, of Big Lick, NC is on a list of people who applied for membership to the tribe or government benefits of such, in 1911. In 1888, when the contract was signed, he would have been 37 years old. In the 1880 census, he and his young family lived near abouts, although not directly around, the Willis place. In 1900, he was not living on this property either. 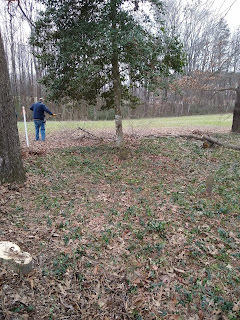 I went back to the deeds to see if I could somewhat trace the ownership of this tract of land. I found a few things and a few other things that made me think. Obedience Burris Willis appeared in one more deed. It appears she outlived McCamie, but probably not by much. Obedience sold to Sallie Hathcock for $300 a tract of land of 110 acres (sound familiar?) bordering Green Almond, Ed Smith and Ephraim Burris "Known as the Old Solomon Burris Place". This kind of cements that idea that McCamie and Obedience lived on the exact property that her parents farmed. But what happened to their deal with Jake Morton? Sallie M. Hathcock, I believe was Sallie Morton Hathcock, widow of Isaiah Hathcock, a son of the Willis's neighbor Lloyd Hathcock. The day after Sallie bought the land, she flipped it. 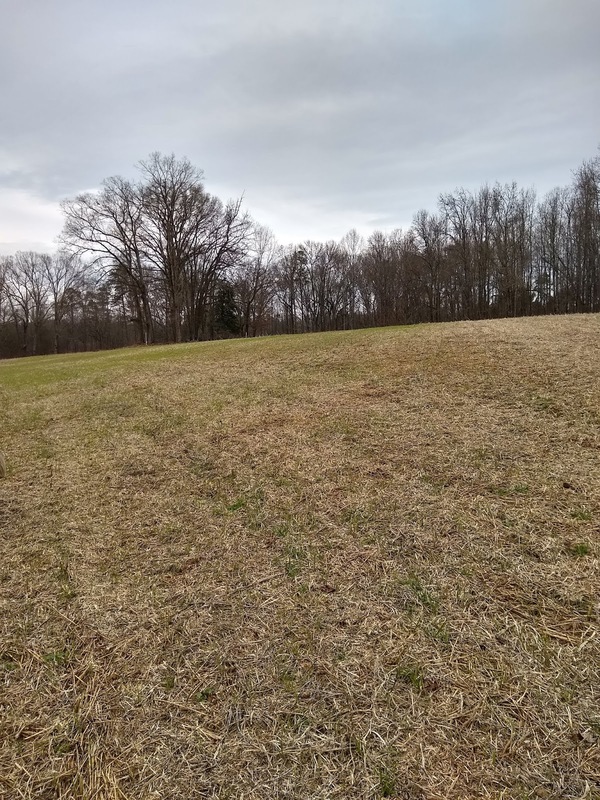 For $150 (half the amount) One half interest in a 110 acres parcel of land adjoining Green Almond, Ed Smith and others known as the Solomon Burris place. Knowing Jerome was not a native Stanly County name, I looked into who Thomas J Jerome was. 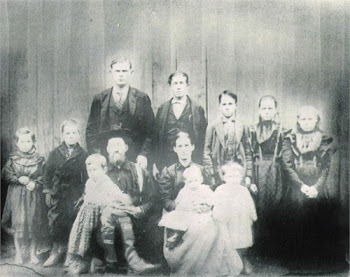 The Jeromes landed in Union County, NC from Connecticutt in the mid-1880's. There was one Thomas J Jerome born 1800-1801 noted as Carriage Maker in the 1860 census. There was another Thomas J Jerome, a nephew of the elder one, who was born in Union County in 1859 and died in Greensboro in 1921. History of the University of North Carolina... / by Kemp P. Battle. He even attended the University of North Carolina. This was most likely the Jerome who bought the half-interest of the Burris Homeplace from Sallie M Hathcock. Thomas J Jerome was an attorney. He bought and sold land and acted as Trustee. He had many deals in Stanly County. The below article descrbies best who he was. But I noticed Sallie M. Hathcock had only sold half of the property. So back to the land records to see if I could find out anything about the rest of it, or any mention of Obedience or Becky. For $100 Sallie sold "3/8 ths of the followig described lands as set apart in a certain decree of Judgement rendered by H R Stanback Judge at Fall Term of Stanly Superior Court in the case of Sallie M. Hathcock vs Jacob A. Morton"
So Sallie sued Jake and obviously prevailed. I've got to get a look at that Court Case. 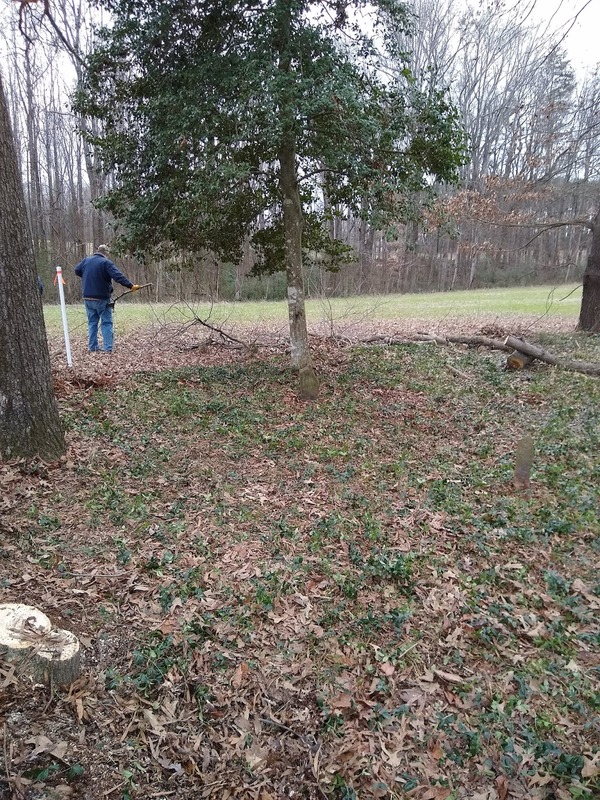 But until then, the land was described as being on the west side of Rocky Branch in the Deberry line containing 110 acres more or less. Same land, and if you notice, Sallie retained just a bit of it. Obedience Burris Willis's year of death is given as 1901, but she was not showing up in the 1900 census. The status of the land under the trust of T J Jerome was probably not occupied. But Sarah M. Hathcock may have been living on a small portion of it and J. L Williams may have been living on his share. So I looked for who J. L. Williams was in hopes of finding Obedience, and possibly Rebecca Page as well. I checked out the neighbors. I found things time after time now by looking for clues. The census takers were not perfect. They made mistakes. The transcribers are not from the areas of documents they transcribe, not familiar with the common names of the area. 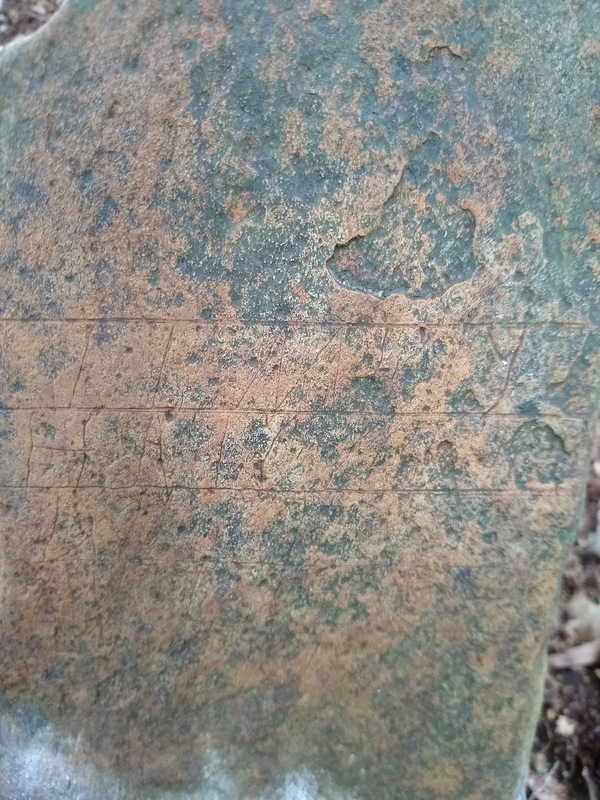 Bless them for their efforts on trying to read this ancient scrawl. Due to the steep drop in education and rise in illiteracy after the Civil War, the 1900 census is one of the worse. It must have been difficult to find census takers who could actually write on a third grade level in the county. Mostly only the very old or very young could read. So I've learned to look for those errors, like the Page women being transcribed as "POGO" in 1870. Alot of times, boarders, or people who were not the head of household were listed by first names only, and so their surname, albeit different, was transcribed as being that of the Head of Household. It especially happened with step-children. The father would die and the mother remarry and her older children would be listed only by first name, and end up with the wrong surname in someone's family tree. I've learned to look for things like that. And because of this, I found Obedience. 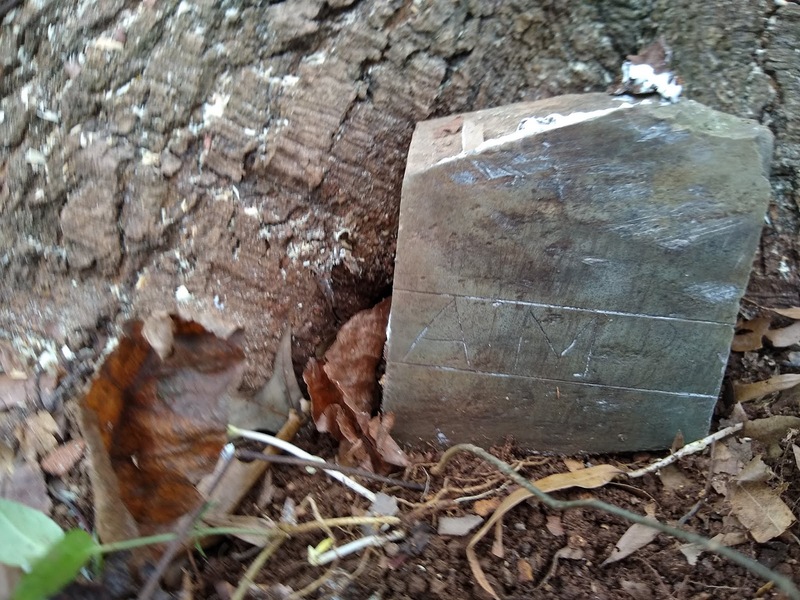 Her given dates of birth and death, found in many trees, I am not certain of the origins of, perhaps someone with a Family Bible out there somewhere? But she is listed as being born on February 6, 1808 and passing away on April 23, 1901. There is no cause to dispute this. It could be accurate. She was living with a family of female Hathcocks neighboring Leander Williams and his family, on the same census page. Her relationship was "Friend". She was a widow. The year of birth - 1807 - was correct compared to all the other census records she appeared in. She was a widow. And the clincher, which was an extremely rare thing in that day and time, she was the mother of Zero children. This census and the 1910 asked how many children a mother had and how many were living. I suppose it was a way to measure child mortality. 43 was a transcription error. It was actually 93, which matches the year of birth of 1807. She was actually 92 going on her Find-a-Grave birthday, but close enough for Rock and Roll. " Beadie" was not a Hathcock. This was Obedience "Beadie" Burris Willis. The house was headed by a middle-aged Malinda Hathcock. The elderly Malinda C. Hathcock was called her step-mother in the census and Francis her sister. Remember Sallie M Hathcock who Obedience sold the land to in 1895 and then who sold half of it to Attorney Jerome and then sold 3/8 interest in it to J. L. Williams, but kept a little piece of it for herself? The 48 year old "Malinda" was Sarah M. "Sallie" Hathcock. She was actually Obedience's neice as she was the daughter of Benjamin Franklin Hathcock and Nancy Ann Burris Hathcock, Obedience Burris Willis's sister. Malinda C. Hathcock was Malinda Catherine Yow Hathcock, and she was Sallie M Hathcock's step-mother as the census stated and yes, Francis was her sister. Sallie M. Hathcock died in 1907 and her step-mother, Katie in 1916. Malinda Catherine Yow Hathcock is buried in the old Hathcock cemetery, which is about a quarter mile from the Commie Willis cemetery. The one person not accounted for was Rebecca Page. I believe Rebecca Page was deceased before 1900, and most probably before 1895, when Obedience sold the "Old Solomon Burris place" to Sarah Melissa (or Melinda) Hathcock, her niece. As the oldest of the 3, Commie, Rebecca and herself, Obedience had lived the longest. But the land was not yet through telling its tales. Two more deeds hold interest. C M Dry was the highest bidder for 33 acres in Big Lick also known as the Ben Hathcock place. Proven Jan 4, 1909. 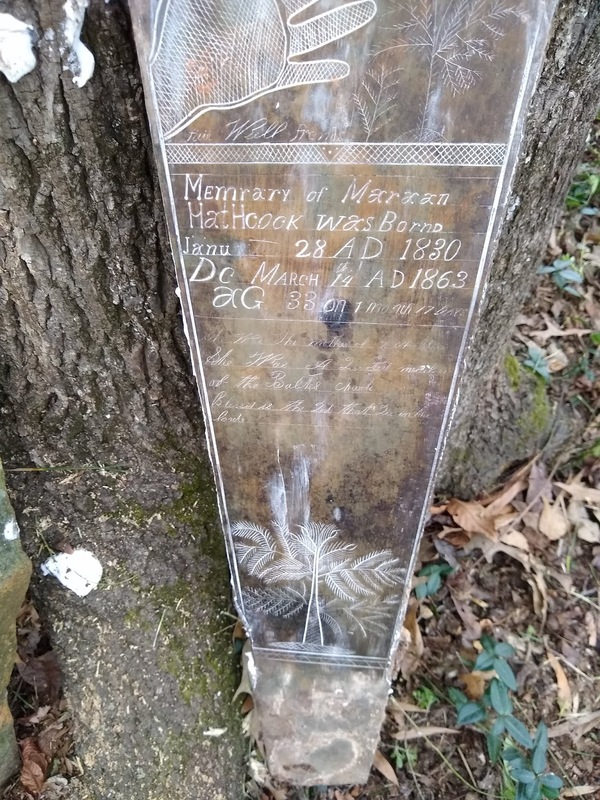 This may have been where the death date of 1907 came from for Sallie M. Hathcock. She did not appear in the 1910 census, although her stepmother, Melinda Catherine Yow Hathcock and her sister Francis still appeared together, most probably in the same place, so this puts Sallie's date of death between 1907 and 1909. Surveryed in October 2005 by Priscilla Clark, Wayne D Burris and Pam Holbrook. 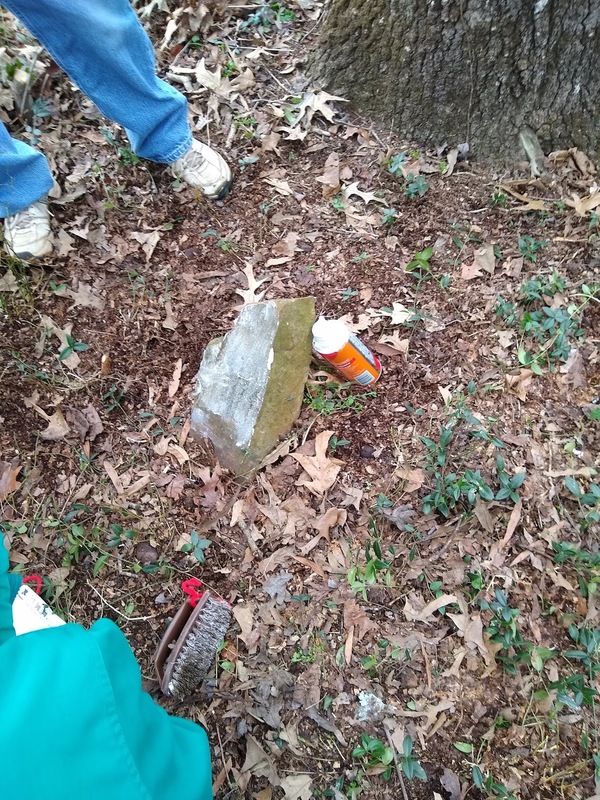 After the 4 above pictured stones of Mariann Hathcock, Lee Hathcock, Zenas Burris and Nancy Burris. 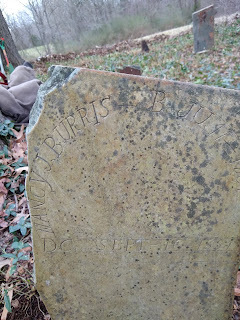 Judith Burris b Dec 16, 1795 d. Aug 20, 1841 (Note: Due to the dates of her will, this was probably 1849 misread as 1841). 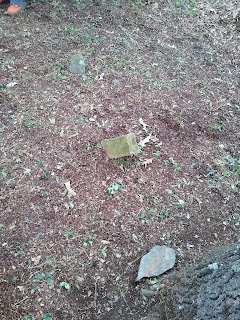 The "Whitley Family History", p. 78, states that Beedy Burris B. Feb 6, 1808 d 1900 is buried here. Note: Solomon and Judith Taylor Burris were originally buried here. They were both moved to Pleasant Grove Baptist Church Cemtery in 1939.